Another week and another wow worthy moment by Bonang Matheba! There's just no stopping this girl. 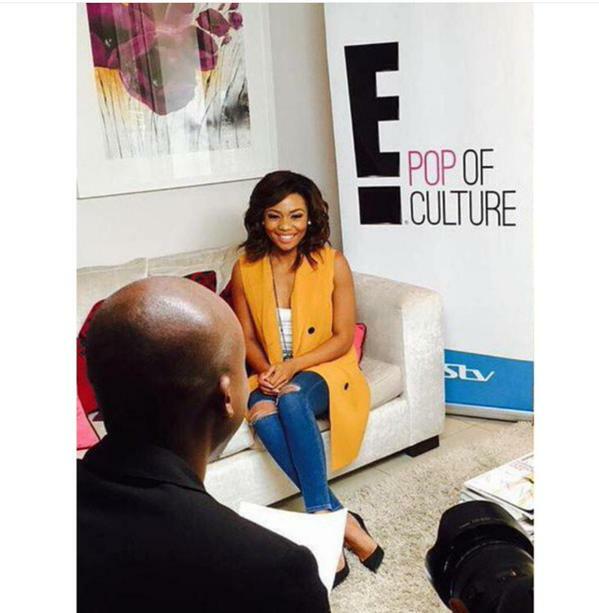 Your girl B* has been tapped as one of the local South African celebs set to appear in an E! News Special airing next month. The series will feature a bevy of other talented folks including actress Terry Pheto, rapper AKA and many more. Each episode of the 12 part series will take viewers behind the lives of some of Africa's most inspiring and influential pop culture personalities though a mix of exclusive interviews and other footage. The series will premire in South Africa on E! (DStv Channel 124 on Thursday September 10 at 8pm. Awesome stuff! Who else would you like to see featured on the show?